Gazelle Glider with Tony Little | Great Cardio and Strength Exercises to Get Fit! Ultimate Low Impact, Fat Burning Workout! Get started today for ONLY $14.95*! Endorsed by Tony Little, America's Personal Trainer®, Gazelle is perfect for all fitness levels - beginner to advanced. For over 15 years, Tony Little's Gazelle Glider has been trusted to deliver an effective low-impact resistance training workout that strengthens the body and sheds pounds with minimal joint stress. 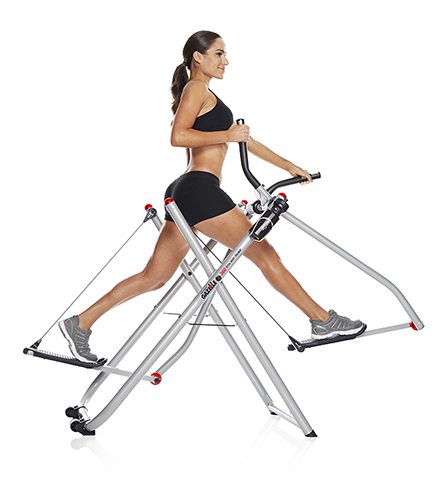 Tony Little's Gazelle Glider exercise machines offer six to ten unique exercises within one workout providing cardio and resistance training with benefits similar to stretching, walking, running, cross-country skiing and aerobic dancing but with minimal stress and strain on joints. *$14.95 30 Day Trial not available on all units.